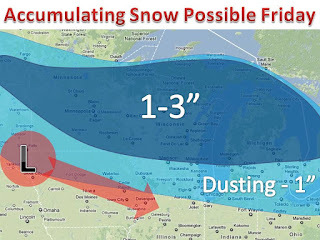 An Alberta Clipper-like storm will move through the Midwest on Friday and Friday Night. 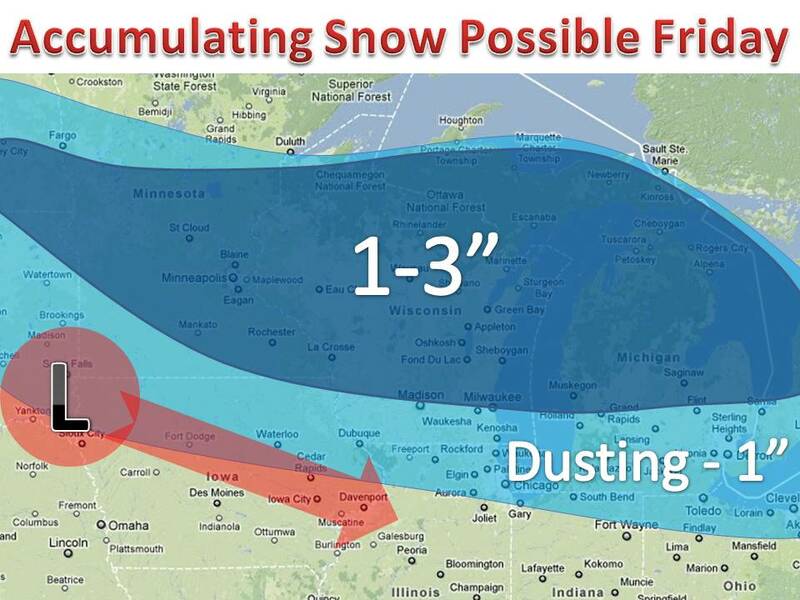 A general 1-2" can be expected with up to 3" in central and northern Wisconsin. The snow will be the light and fluffy variety and any wind will cause it blow around.